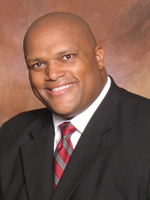 Dr. Ron Archer is a bestselling author, a Business Executive, NFL Consultant, Military Leadership Consultant, Corporate Leadership Trainer, Presidential Advisor, TV Pundit, and Envoy to Latin America, Africa, Europe and Korea. He is also the leader of a Global Human Rights Movement throughout Africa and Latin America. Awarded the Martin Luther King Leadership Award for his work developing the hears, hearts, hands and habits of third world leaders to transform their nations from chaos to collaboration. Countries like Korea, Singapore, Kenya, Colombia and India credit him for his work in their countries to build improved schools, clinics, business models and governments reforms.